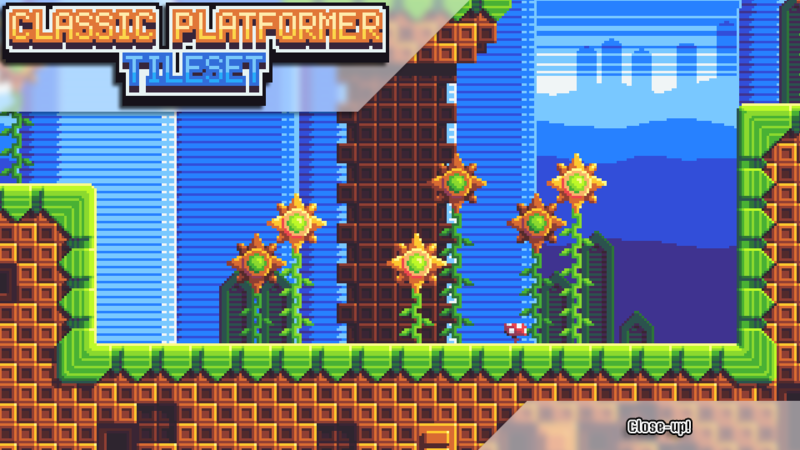 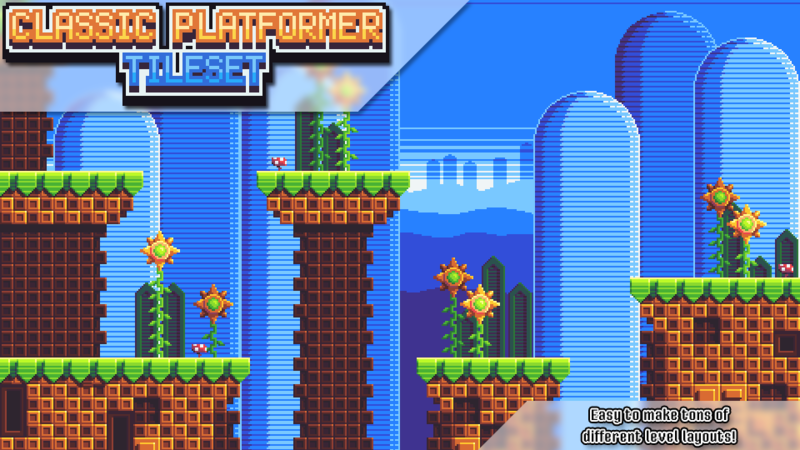 Welcome to Classic Platformer, a generic, all-purpose pixel art tileset! 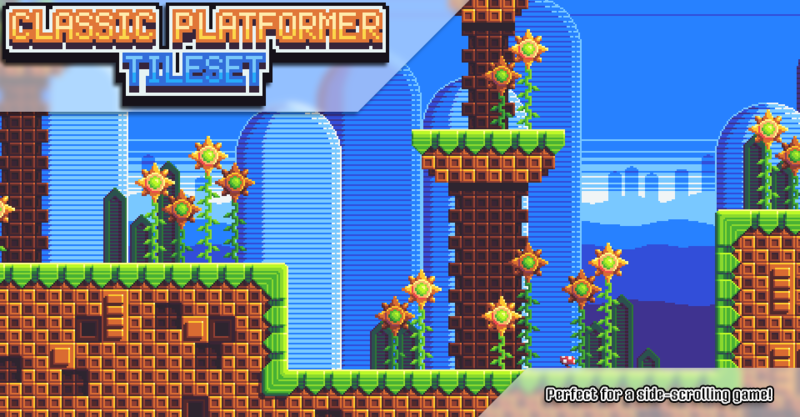 This tileset is ready to make your platformer game both cute and functional! 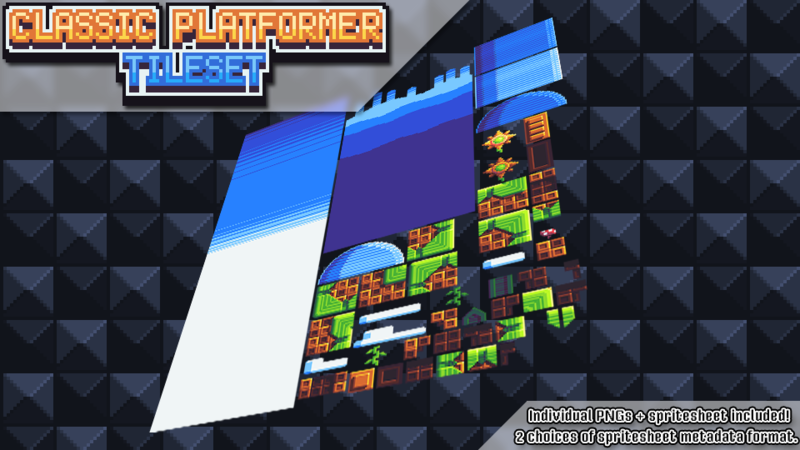 A variety of terrain pieces give you the freedom to create many different level layouts. Foreground and background objects are designed to give your game extra depth as the player walks and jumps through your level. Check out the screenshots on the side for some previews!